Let Mr. Chakra guide you on a sensory journey. We use our senses to explore the world around us. By using your intuition, your senses will help you discover the chakra that you should focus on today. While you can work with all 7 chakras at anytime, it is helpful to focus on one chakra at a time. Once you discover which chakra you will explore, Mr. Chakra will give you a series of wellness rituals to help you connect to that center. Use these rituals to find balance. Your focus areas are constantly changing so return to the sensory journey as often as you like. Take a look at the 7 chakra cards. Let yourself respond to the color, symbol and word. Follow your instincts and choose a card that resonates with you at this moment. Chakra 1 is the center where we ground ourselves and take care of our basic needs. When the root chakra is imbalanced, one feels lethargy, resistance to change and the need to slow down. Chakra 2 is the center of vitality and sensation where we move beyond our basic needs into relationships with others. 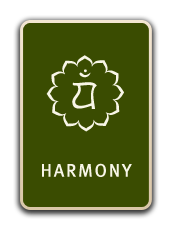 When the pleasure chakra is balanced, one has stable energy, alertness, unblocked emotions and is connected to all five senses. 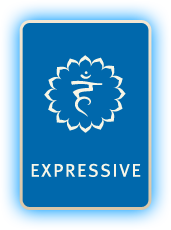 When the pleasure chakra is imbalanced, one feels repression and feels disconnected to the senses. Chakra 3 is the center of motivation where we set our intentions and desires. When the power chakra is balanced, one achieves goals, is self-confident and has strong motivation and direction. When the power chakra is imbalanced, one feels mental blocks, nervousness and impatience. Chakra 4 is the center of sympathy, empathy and love. When the heart chakra is balanced, one feels love and connection to self and others. When the heart chakra is imbalanced, one feels depression, loss of connection and lack of caring. Chakra 5 is located in the throat and relates to creativity, self-expression and communication. 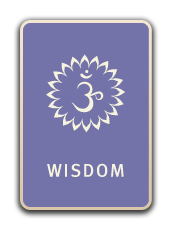 When the throat chakra is balanced, one has inner reliance, self-reliance and easily expresses ideas and thoughts. 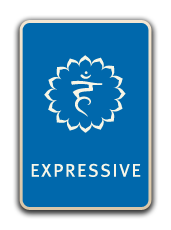 When the throat chakra is imbalanced, one feels selfish, has feelings of rejection and has difficulty expressing oneself. Chakra 6 is the center of intuition, imagination and perception. 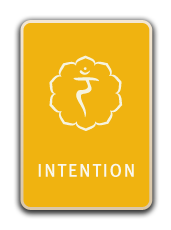 When the intuition chakra is balanced, one feels strong intuition, a connection to oneself and mentally fit. When the intuition chakra is imbalanced, one has mental blocks, over-thinks things and lacks depth. 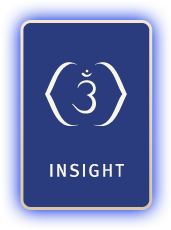 Chakra 7 is the center of connecting to something greater than oneself, and expressing wisdom and enlightenment. When the crown chakra is balanced, one feels strong, unclouded and joy for life. When the crown chakra is imbalanced, one feels loss of self, spiritual abandonment and lack of connection to the universe. This is the first, or root chakra meditation. To enhance your experience spray the grounding blend of Aveda Chakra™ 1 balancing body mist with vetiver olibanum and patchouli. Focus on deep diaphragmatic breaths so that as you inhale your abdomen expands and as you exhale your abdomen contracts. Bring your awareness into the base of your spine. This is thefirst or root chakra. This is the center of your basic needs and helps you ground yourself in the physical body. As you focus on this center, visulalize a spinning wheel of red energy. Allow your mind to settle into the body, noticing the sensations that you feel. Bring your awareness into your feet, then your ankles, legs, and hips. Now focus on your abdomen and back and into your shoulders, down your arms to your hands. The root chakra helps you move away from the thoughts in your head so that you listen to the wisdom of the body. 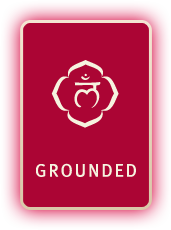 Now silently repeat the word "grounding" to yourself. 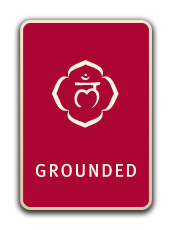 Whatever grounding means to you allow yourself to feel more grounded. The mantra sound of the first chakra is lam. Repeat this mantra out loud multiple times noticing the vibrations in the root chakra. Breath of fire — This rapid breath is performed by exhaling forcefully through the nose, followed by inhaling gently. It is important to concentrate on exhaling from the abdomen as you perform this breath. This breath helps to energize the body and break up congestion. Do a series of 10 breaths, breathe normally for several breaths, followed by a series of 10 breaths, breathe normally for a minute or two and finish with a series of 10 breaths. This breath helps to energize the body and eliminate toxicity. Most red colored fruits and vegetables are effective in stimulating and vitalizing the root center. Incorporate more red and pink colored fruits and vegetables into your daily nourishment: Some of these foods are: tomatoes, watermelon, beets, cranberries, cherries, strawberries, red apples, red beans, radishes, red bell pepper, raspberries and red-skinned potatoes. 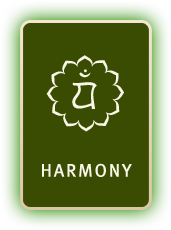 This innovative treatment focuses on centering the chakras using a variety of massage techniques. The treatment features the Aveda Chakra Balancing Blend with deep tissue massage on the back and spinal muscles, chakra reflexology massage for the feet, and energy work for each of the chakras. In addition, guests will be guided through a mediation to enhance the bene ts of stress relief, decreased muscular tension and increased energy. Find a location. 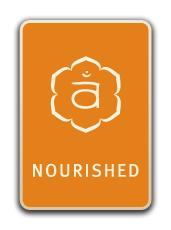 This is the second, or pleasure center chakra meditation, To enhance your experience spray the nourishing blend of Aveda Chakra™ 2 balancing body mist with orange and geranium. Focus on deep diaphragmatic breaths so that as you inhale your abdomen expands and as you exhale your abdomen contracts., bring your awareness to your lower abdomen just below your navel. This is the 2nd or pleasure chakra which is the center that helps you connect to the physical world around us through the 5 senses. When you use the 5 senses purposefully, you bring nourishment and vitality to the self. 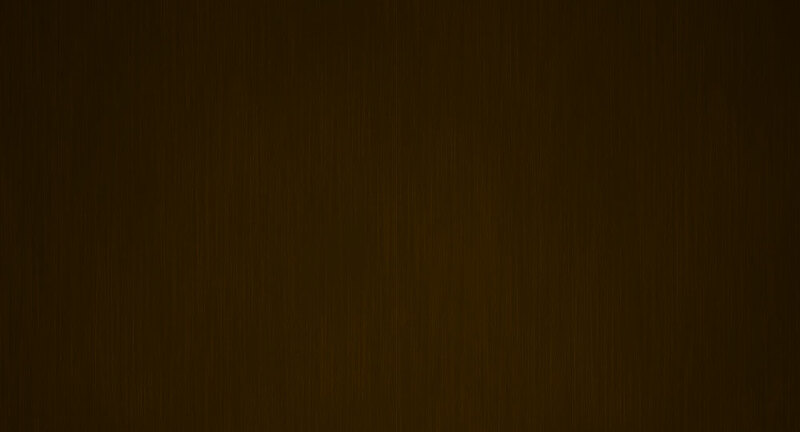 Visualize a spinning wheel of orange at this center. Silently repeat the word "nourishment" to yourself and visualize that nourishment vitalizing your entire being. The mantra sound of the second chakra is vam. Repeat this mantra out loud multiple times noticing the vibrations in the pleasure chakra. er the 6th full breath) you can stop performing the breath. This breath also helps to energize the body and break up congestion. Most orange and yellow fruits and vegetables are effective in stimulating and vitalizing the pleasure and solar plexus center. Incorporate more orange and yellow colored fruits and vegetables into your daily nourishment. Some of these foods are: carrots, mango, apricots, peaches, cantaloupe, oranges, sweet potatoes, pumpkin winter squash pineapple, corn, star fruit, banana, lemons, quince, squash, plantains and yellow peppers. This is the third, or solar plexus center chakra meditation. To enhance your experience spray the focusing blend of Aveda Chakra™ 3 balancing body mist with lavender and lemon. As you focus on deep diaphragmatic breaths, bring your awareness into the upper abdomen and the solar plexus. This is the 3rd or power chakra which helps you connect to your sense of identity and confidence. As you focus on this center, visualize a spinning wheel of yellow while you think about your intentions and your actions. 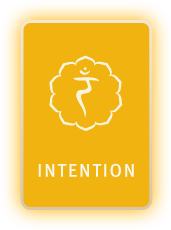 Silently repeat the word "intention" to yourself. As you repeat this word, set your intentions for a current situation. The mantra sound of the third chakra is ram. Repeat this mantra out loud multiple times noticing the vibrations in the power chakra. Whispering Breath — This breath is performed by inhaling and exhaling through the nose as you gently contract the back of the throat. To begin, inhale and exhale through the mouth making the sound "haaa", which contracts the back of the throat. When you feel comfortable contracting the back of the throat, close the mouth and continue breathing through the nose making the "haaa" sound. This breath is particularly useful when exercising and helps to increase stamina and aerobic capacity. This breath can also increase focus. This is the fourth, or heart center chakra meditation, To enhance your experience spray the harmonizing blend of Aveda Chakra™ 4 balancing body mist with mandarin and sandalwood. As you focus on deep diaphragmatic breaths, focus your attention on the heart chakra located in the center of your chest. This is the center of sympathy, compassion and love. Notice how your heart center feels. As you focus on this center, think of someone you love — it could be a partner, family member, friend or pet — and notice how your heart chakra changes. As you continue to concentrate on the sensations of love, allow them to expand beyond the heart center and permeate your entire body. Now let go of the thought of this person, and experience how the sensations of love feel in your body. Whenever you are feeling stressed or overworked, remember these sensations are only a thought and a breath away. 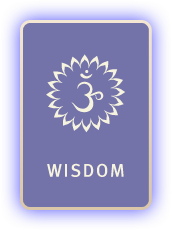 The mantra sound of the fourth chakra is yam. Repeat this mantra out loud multiple times noticing the vibrations in the heart chakra. Alternate Nostril Breathing — This breath is performed by closing one nostril with the thumb or ring finger of the right hand and inhaling or exhaling through the other nostril. To begin, close the right nostril with the thumb and inhale through the left nostril, switch and close the left nostril with the ring finger, exhaling through the right nostril. Inhale through the right nostril, switch and exhale through the left nostril. This is one complete cycle. Repeat this cycle for five minutes. This technique helps to cleanse the energy channels of the body and helps to reduce anxiety and nervousness. It is the most powerful of the pranayama exercises. Most green fruits and vegetables are effective in stimulating and vitalizing the heart center. Incorporate more of these green colored fruits and vegetables into your daily nourishment. Some of these foods are: leafy greens, kale, collards, broccoli, green pears, green peas, green apples, spinach, celery, limes and honeydew melon. When the throat chakra is imbalanced, one feels selfish, has feelings of rejection and has diffculty in expressing oneself. This is the fifth, or throat center chakra meditation. To enhance your experience spray the expressive blend of Aveda Chakra™ 5 balancing body mist with rosemary and ylang ylang. Focus on deep diaphragmatic breaths, focus your attention in the neck. This is the 5th, or throat chakra which is the center of communication, expression and creativity. As you focus on this center, visualize a spinning wheel of light blue energy. Repeat the word "expression" to yourself imagining that you are able to communicate effectively. The mantra sound of the fifth chakra is "ham". Repeat this mantra out loud six times noticing the vibrations in the throat center. Bee Breath — This breath is performed by inhaling deeply, and then exhaling slowly making a gentle humming sound as you exhale. This breath can be customized by concentrating the vibration on a particular area of congestion such as the throat, ears or sinus. This breath quiets the mind. Most blue and purple fruits and vegetables are effective in stimulating and vitalizing the throat, third eye and crown centers. Incorporate more of these blue and purple colored fruits and vegetables into your daily nourishment. Some of these foods are: blueberries, purple grapes, eggplant, plums, blackberries, prunes, purple cabbage, figs, raisins and purple onions. This is the sixth, or third eye center chakra meditation, To enhance your experience spray the insightful blend of Aveda Chakra™ 6 balancing body mist with geranium and petitgrain. As you focus on deep diaphragmatic breaths, bring your awareness into the 6th or 3rd eye chakra located in between the eyebrows. This is the center of imagination, intuition, and perception. 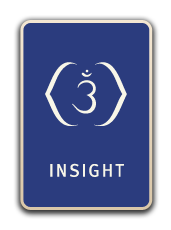 Visualize a spinning wheel of dark blue energy in between your eyebrows and silently repeat the word "insight". Notice the sensations that arise at your 6th chakra. The mantra sound of the sixth chakra is sham. Repeat this mantra out loud multiple times noticing the vibrations in the third eye chakra. When the crown chakra is imbalanced, one feels loss of self, spiritual abandonmentand lack of connection to the universe. This is the seventh, or crown center chakra meditation. To enhance your experience spray the enlightening blend of Aveda Chakra™ 7 balancing body mist with elemi and olibanum. As you focus on deep diaphragmatic breaths, bring your awareness to the crown of the head and the 7th chakra or bliss center. This is the center of wisdom and enlightenment and helps you connect to a sense of purpose or meaning in life. Visualize a spinning wheel of colored energy at the crown of the head as you silently repeat the word "wisdom". As you connect to purpose or meaning in life, silently repeat "who am I" to yourself, witnessing whatever answers arise from within the self. Who am I? The mantra sound of the seventh chakra is om. Repeat this mantra out loud multiple times noticing the vibrations in the bliss chakra. When the pleasure chakra is balanced, one has stable energy, alertness, unblocked emotions and is connected to all 5 senses. 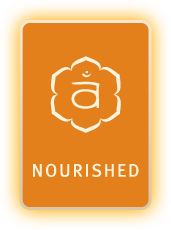 At Aveda, we draw on Ayurveda, a 5,000 year-old healing tradition from India, that helps us balance our chakras — 7 spinning wheels of energy — that affect our health, well-being and beauty. Mr. Chakra is your guide to the chakra system. He's here to help you learn about chakras, related wellness rituals and chakra balancing aromas, that can support you in discovering the beauty of a balanced life.